The resignation of minister Konrad Mizzi and chief of staff Keith Schembri should be obvious and immediate in view of the 'never-ending list of shady businesses' Graffitti said on Sunday. Moreover, all privatisation deals they were responsible for should be seriously investigated and, possibly, revoked, the activists' group said. 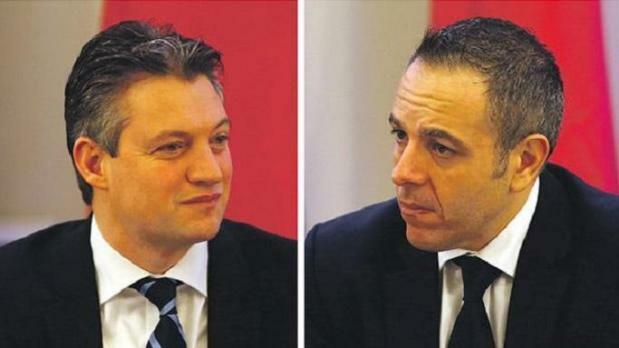 "The position of Konrad Mizzi and Keith Schembri had already become untenable in 2016 when it was discovered that they held hidden offshore companies in Panama. It now additionally emerges that their companies in Panama were going to receive money from another hidden offshore company in Dubai, 17 Black, owned by Yorgen Fenech, Director of Electrogas, which is the consortium that took over Malta’s power-generation after this was privatised by Konrad Mizzi," the group observed in a statement. "The links are damning. Keith Schembri and Konrad Mizzi should be hiding in shame instead of persisting with their pathetic denials of wrongdoing. Whilst it is fair to demand a thorough investigation process in order to ascertain precise criminal responsibilities, the political responsibility should be shouldered immediately. The fact that legal responsibility has not yet been determined cannot serve as an excuse to abscond from the very grave political implications of this case," the group insisted. It noted that the two were involved in a string of 'shady' privatisation deals such as the transfer of the ITS site to the db Group and the privatisation of hospitals. "These privatisation processes should be seriously investigated and actions, including the possible revocation of such deals, are to be taken following investigation if necessary."